Slice hot dogs in half and grill in butter until almost done. Place kraut on top of hot dogs to warm. 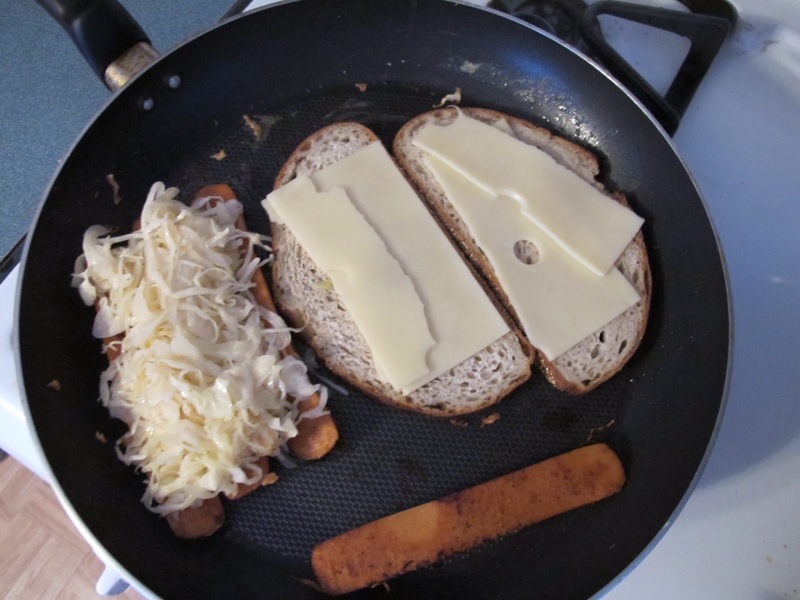 In the same pan place bread with Swiss cheese placed on top to melt. 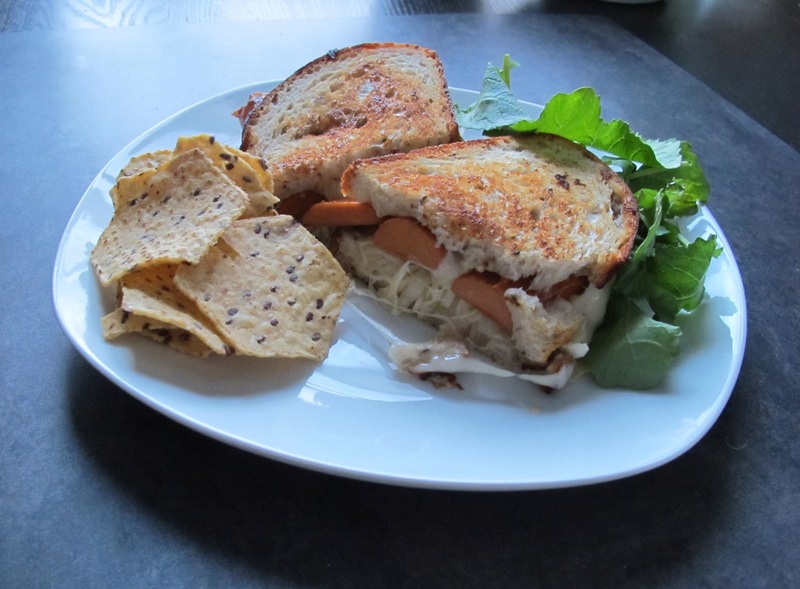 When everything is all warm and cozy and a bit crisp, carefully place the hot dogs and kraut on top of bread to plate. Spread mustard and Thousand Island dressing on top of one of the slices of bread.